All WOODS OF BOERNE homes currently listed for sale in Boerne as of 04/26/2019 are shown below. You can change the search criteria at any time by pressing the 'Change Search' button below. 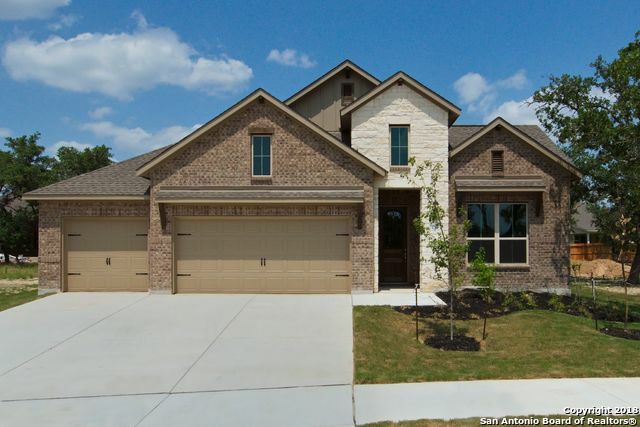 "This Hill Country beauty has fantastic curb appeal with its stone and stucco front exterior. Enter into a stunning rotunda with study and formal dining on either side. 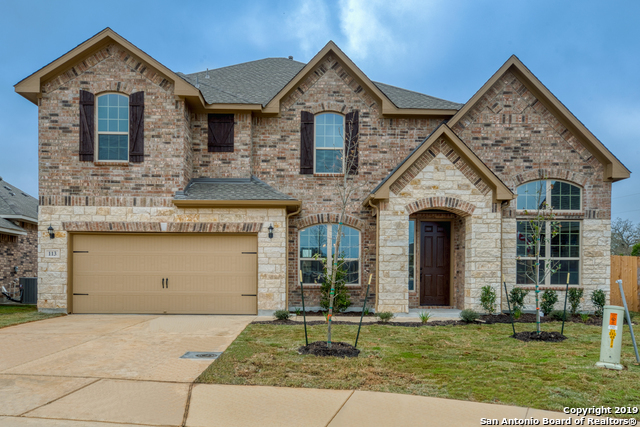 The family room looks out to a Texas size patio and large backyard perfect for entertaining. The gourmet kitchen features an oversized island with granite counter tops, custom 42 painted cabinets, stainless appliances, built-in gas cooktop, plus a butler's pantry for extra storage. The master retreat with its spa-like master bath "
"Looking for a large 1 story with space for everyone - this is it! Office in the front. Two bedrooms share a bath, the 4th bdrm has it's own bath, and the Master Suite features a HUGE WALK-IN SHOWER and a large closet. The family room and the game room are very spacious, the pantry is big, there is a 3 car garage, and a covered patio facing the green belt behind the back yard. Stone, stucco, and brick accents w/cedar columns create a Hill Country look out front. Level yard with full irrigati"
"New Ashton Woods home just completed. Down stair's master suite has a large bathroom with two big walk-in closets! Oversized kitchen island is open to the family room with soaring ceilings, big windows and a corner fireplace. One of the upstairs' bedrooms has a private bath and the other two secondary bedrooms share a hall bath. Very wide back yard provides lots of room for pets or gardens. Upgrade flooring, tile, and counter tops throughout! Great little gated community only 2.3 miles from"
"The flexible floor plan is a perfect fit for all your family needs. Built on a generous cul-de-sac lot, the home features stunning brick exterior and popular three car garage. A uniquely designed open concept welcomes you into the main areas of the home. Carefully selected decorator tile flows through living spaces and bathrooms, while plush carpet is found in the bedrooms. The expansive kitchen design is stacked with stainless appliances and finished with Silestone counter tops and tile backspl"
"New AW Home now complete and ready for a quick move in! One story on a level lot. Very attractive front exterior with stone, brick accents, stucco, cedar columns by entry and a designer metal roof over the front porch. Office at the front, open kitchen with a huge island, over looking the 20' deep family room with rock fireplace. Great game room with 4 windows for lots of natural light. 10' ceilings, covered back patio, 3 car garage with openers, upgrade granite counters, beautiful wood floo"